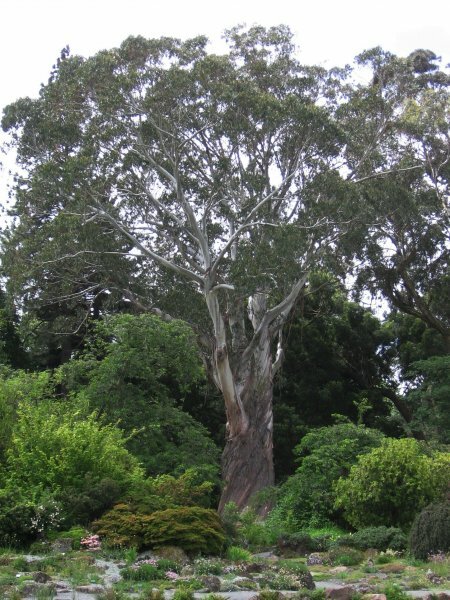 This tree was featured on page 208 of the 1984 book 'Great Trees of New Zealand' by Burstall & Sale. 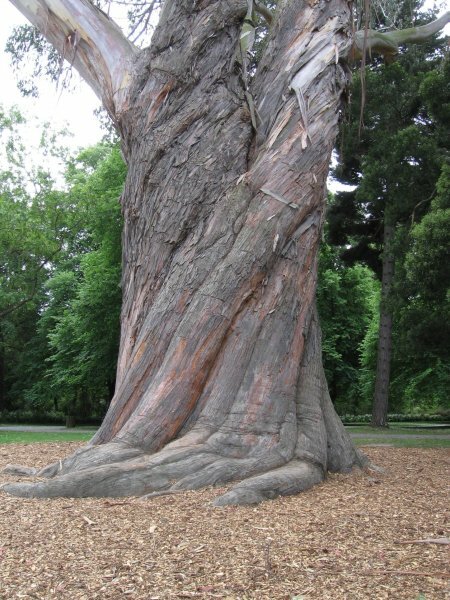 From this source it is thought to be 'the largest of its species in New Zealand', however, the girth is strongly influenced by a bifurcation of the stem at 4 metres (Cadwallader 2012). The tree appears to under some stress (2012). 11 Dec 2011 Cadwallader, B.G. 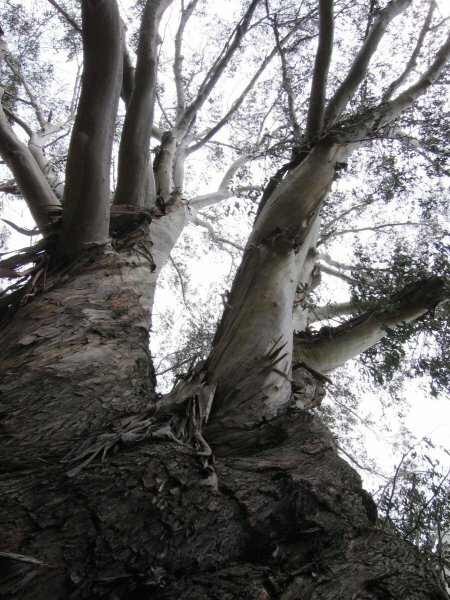 Near a group of gums in the southern part of the gardens.